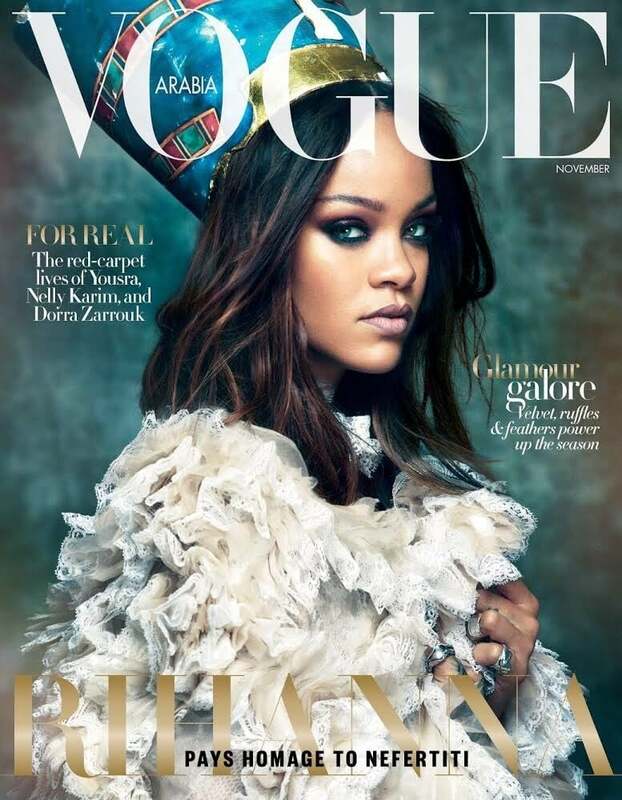 Rihanna graces the cover of the November issue of Vogue Arabia with a look that pays homage to ancient Egyptian Queen Nefertiti. Rihanna, who has a tattoo of the Egyptian icon on her ribcage, wears a blue headdress and a textured lace coat on the cover of the magazine, which hits newsstands Nov. 1. While Rihanna looks gorgeous as always, some people have criticized the Fenty Beautymogul’s cover for cultural appropriation. Check out more photos from the issue and see how fans and critics are responding to the cover ahead.